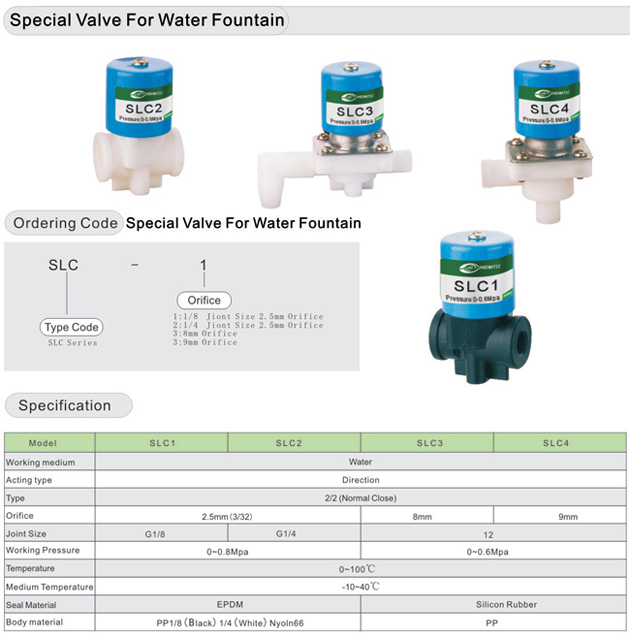 SLC series direct acting water valves are mainly used in the field of water fountain, washing machine, and other drinking system etc. 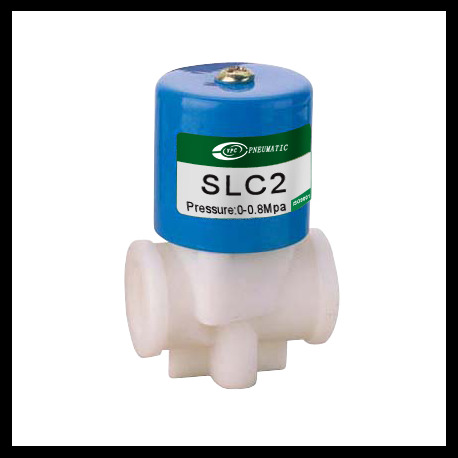 Food level standard products, pipe connection and thread type connection, suitable for different requirements. Oriffice have 2.5mm, 8mm and 9mm, thread sieze range from 1/8’’ to 1/4’’, The body materials can be made of PP and Nylon, depending on the differernt requirements. 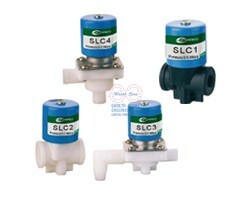 ต้องการข้อมูลเพิ่มเติมเกี่ยวกับ โซลินอยด์วาล์วสำหรับน้ำพุ Solenoid Valve SLC Series ?